Title: Will Antichrist Arise On 12/11/2012 And Be Pronounced World Messiah On 12/21/2012? 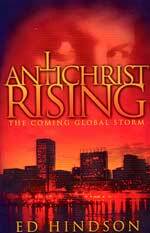 "Antichrist Rising: The Coming Global Storm"
Subtitle: The mathematics are quite startling! Many born-again, Fundamental Christians today are taking a serious look at the date of 12/21/2012 as a date of great prophetic significance. Some believe this date may be the date Antichrist arises while others believe this date may mark the beginning of the World War III to produce Antichrist. As you can see, hundreds of millions of people all over the globe and amongst the majority of religions, are expecting a major event to occur on December 21, 2012, while some are going so far as to say the world will end on that date. Last year, Cutting Edge Ministries posted an article in which we noted this major expectation that the Antichrist could arise in the year, 2012. 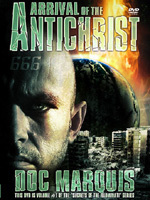 This article is NEWS2275, and is entitled, "2012 - Is This The Year When Antichrist Might Arise?" 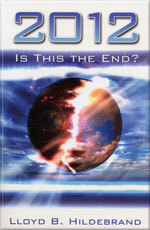 First, we noted many of the same expectations of pagan religions which the book, "2012: Is This The End?" explains. But, we quoted a very important New Age source which needs to be repeated here. The time in which a knowledgeable Christian will make a discerning decision regarding the identity of the man who will be Antichrist will be before he is arisen; and, this knowledge beforehand will require Biblical discernment, knowledge of Scripture, and a series of calculations! With this point made to me by a pastor, I bought Antichrist And A Cup of Tea and began to read, albeit still with a high degree of skepticism. About three-fourths of the way through this book, I set it down and said to myself, "All right, I have seen enough calculations and discerning facts to convince me: Antichrist will arise from the House of Windsor." If the timing is soon, Prince Charles will be that man; if the timing is delayed, Prince William will be Antichrist. However, Prince William must turn 30, which is the Jewish minimum age for a man to be a Rabbi. Williams turns 30 in 2012. Since the Illuminati always has a "Plan A" and a "Plan B", this William scenario could be very probable. When does Prince William turn 30 years of age? On June 21, 2012! Therefore, if Prince William is to be Antichrist, he must be able to convince the Jews he is their Messiah. The prophetic fact means he must be at least 30 years old before he arises. Finally, I realized during the reading of this book something which had totally escaped my awareness: that most important prophecy of Daniel 9:26-27 states that Antichrist shall be a "Prince"!! He is not foretold to be a king, or a Prime Minister, but a Prince! Therefore, it may be highly significant prophetically that Charles is not a king, nor may he ever be a king; he may always be a Prince. And, the reality is that, even if he ascends to the British throne as King, he will continue to be "Prince of Wales". However, I believe that Prince William is the likely candidate for Antichrist, making his 30th birthday on June 21, 2012, most significant. "When the attacks of 9/11 occurred, we easily counted 18 instances where the events occurred 'by the numbers' -- sacred numbers of '11'. We posted an article entitled, "EVENTS CONTINUING TO OCCUR "BY THE NUMBERS" -- SACRED OCCULT NUMBERS", NEWS1756. The Bible states that Antichrist will be the 11th Horn to appear on the world scene [Daniel 7:7-8] and the Illuminati recognizes '11' as the major number of their Antichrist. When we review the way in which the attacks of 9/11 occurred by the '11's' and review the significance of '11' in history, you will see the hand of God forcing the hand of the Illuminati to fulfill Biblical prophecies! Within a few hours of the infamous attacks of 9/11, 2001, Cutting Edge began to see the hideous occult hand of the Illuminati, their 'signature' so to speak. We issued a series of articles detailing this use of the number '11', proving that the Illuminati was the planning, active agent behind these attacks. Once you understand how this tragedy is undergirded by elevens, you will understand that the Illuminati has carefully placed its fingerprints all over this event. Why would they do this? They would want to hide the truth from the masses, while communicating it to the elite occultists all over the world. Let us briefly study the foundational, underlying use of this special number. To properly comprehend this point, you need to understand that the occultist literally fulfills Paul's explanation of a pagan, of a satanist, in Romans 1:25, "... they exchanged the truth of God for a lie and worshiped and served the creature rather than the Creator ..."
Satanists believe that a carefully planned event must be carried out according to the correct sacred numbers, or it may not be successful. They go to great lengths to make an event occur according to the correct numbers. As Wescott explains, "... so 11 is the essence of all that is sinful, harmful, and imperfect." [Ibid., p. 100] Thus, while 11 is very important, multiplication's are also important, such as 22, 33, 44, 55, 66, 77, 88, and 99. Thus, we should not have been too surprised to learn that the attacks of 9/11 occurred on an '11'. We list 18 ways in which this event was undergirded by an '11' or by a multiple thereof. But, there is one event which occurred according to an '11' which is most important to recognize here. "11 Years To The Day" -- On September 11, 1990, President George Bush (Sr.) delivered a speech to the Congress entitled, 'Moving Toward A New World Order". Precisely 11 years to the day after President Bush delivered this speech praising the New World Order, and declaring it to be an inevitable fact, a mighty blow was struck to move the world finally into this global world system. Another of President Bush's infamous quotes also came from this Iraqi invasion of Kuwait, when he said in August, 1990, that 'this invasion shall not stand, because it threatens the New World Order'. Once the Senior Bush introduced this term to the general public, everyone started using it. Dan Quayle appeared on a great many television programs, explaining this term and telling everyone what a wonderful concept it was. British Prime Minister Margaret Thatcher and Gorbachev suddenly began using this term, a formerly very hidden term reserved only for the readers of select occult material. 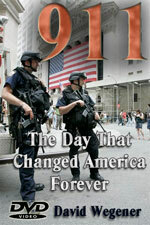 See Dan Quayle and other world leaders speak about this New World Order in the Video Trailer for 9/11 -- The Day That Changed America Forever DVD. I found this historical fact exceedingly interesting, because it reveals the degree of Conspiracy which underlies the entire Illuminati Plan to overthrow the Old World Order so the New World Order can be established. This brings us to THE reason I think that 2012 might be the year Antichrist arises. Keeping in mind that President Bush, Sr., addressed the Congress on the subject, 'Moving Toward A New World Order', precisely 11 years before the attacks of September 11, 2001, I wonder if the Illuminati Plan calls for precisely 11 years between the attacks of 9/11/2001, to the time when Antichrist arises, or to the time the 91-day Third World War begins that shall establish him on the world scene? Therefore, the time differential would be: September 11, 2001 to September 11, 2012 -- exactly 11 years. My 21 years of research into the plan of the Illuminati to stage their global Messiah on the world scene has revealed that they meticulously plan their events and the timing of these events. They believe, as do all pagans, that a good plan can fail if it is not carried out "according to the numbers", i.e., certain sacred occult numbers. We explain this reality to you in the archived Headline News article, above, NEWS1756. The most important number to the Satanist is '11', for that is the number of their coming Antichrist. Keeping that in mind, I need to remind you of the length of the planned World War III, the war designed to produce Antichrist on the world scene. Former Satanist -- now born again -- Doc Marquis, has consistently stated that he learned while in the coven that World War III was planned to be precisely 13 weeks long (91 days). Former Satanist -- now born again pastor -- David Myers of Last Trumpet Ministries, verified this length of time for World War III. While this world war will be the shortest of the Illuminati's three world wars (Full details in NEWS1015, "The Incredible Satanic Vision"), it will kill more people than the first two world wars combined because a wide variety of Weapons of Mass Destruction will be used upon entire populations. If we assume, for the sake of discussion, that World War III is planned to begin on September 11, 2012, exactly 11 years to the day after the attacks of 9/11, when would the 91 days war end? My computer program "The Calendar Calculator" tells us. As you can see, if the 91-day world war begins September 11, 2012, it will end on December 11, 2012. Since the Satanic number for Antichrist is '11', it is entirely fitting that his appearance could be bracketed by '11's. The war to produce him would start on 9/11 and Antichrist would come striding on the world scene on 12/11, in the year 2012. But, you say, December 11 is ten whole days before December 21, which is the focus of so many pagan religions. You are right, and I submit to you that 10 days might be just the right time period for another important prophecy to occur! This passage states that Antichrist will arise after the world's leaders reorganize the nations into exactly ten supernations, a prophetic fact which we explain in NEWS2363. The Illuminati has created a plan whereby all the various nations in the world are to be reorganized into exactly 10 supernations. Only about one-half of the nations are in formed in some degree, while the other half are not even started yet. But, the point is, the formation of these 10 supernations forms a reliable time frame by which they can ascertain how close the world might be to the onset of the World War III which shall produce Antichrist. I believe that, ten days after Antichrist arises, the leaders of the ten supernations could very well hold a press conference in which they will praise the Masonic Messiah who has just arisen and pledge their undying support for him! If this time sequence is correct, Antichrist will be proclaimed as World Messiah on December 21, 2012, the date for which the whole pagan world is expecting! The Roman Catholic Pope might even be present at this news conference, being presented as the False Religious Prophet (Read how the Illuminati has chosen the Pope to be their top global religious leader, in our archived article, NEWS1052). While Cutting Edge is NOT date-predicting, we are startled by the reality that, if the world war began 9/11/2012, Doc Marquis' 91-days would end on 12/11/2012. At this point, the world would be only 10 days away from the End of the Dark Age prophecies of the Mayan Calendar, just enough time for the world rulers to meet Antichrist somewhere in the world so they can proclaim him World Messiah. NOTE: this declaration by the ten world rulers on behalf of Antichrist is NOT the mid-point of the Tribulation Period. The 7-year Tribulation does not begin when Antichrist appears on the world scene, but when he "confirms the covenant" with Israel (Daniel 9:27). The mathematics works. We shall just have to wait to see if this is God's timing. We need to make one other point. Once the Rapture of the Church occurs, the Restraining Power of the Holy Spirit will be "taken out of the way" (2 Thess 2:3-8). With no Holy Spirit restraining power against the nations of the world, the 10-nation reorganization plan could lurch forward quickly, forming all 10 nations very rapidly. Indeed, since the Illuminati knows the Rapture of the Church is a very real event, they could very well be marking time now, as it were, waiting for hundreds of millions of their most implacable enemies to disappear "in the twinkling of an eye". Events are rapidly marching toward their prophesied conclusion. Antichrist is God's final judgment upon Israel and the entire world and he is coming soon. Are you spiritually ready? Is your family? Are you adequately protecting your loved ones? This is the reason for this ministry, to enable you to first understand the peril facing you, and then help you develop strategies to warn and protect your loved ones. Once you have been thoroughly trained, you can also use your knowledge as a means to open the door of discussion with an unsaved person. I have been able to use it many times, and have seen people come to Jesus Christ as a result. These perilous times are also a time when we can reach many souls for Jesus Christ, making an eternal difference.